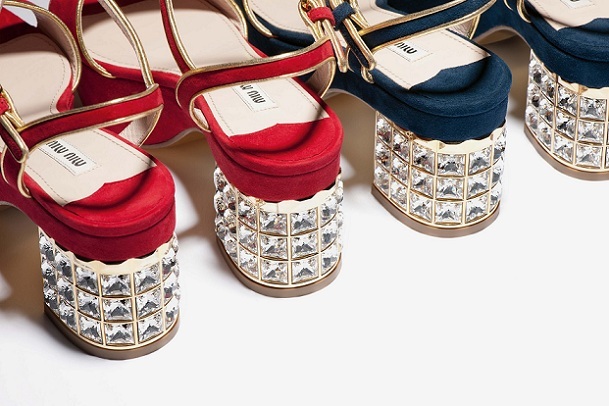 MIU MIU resort 2013 sandals are embellished with metal nuances and exclusive details. 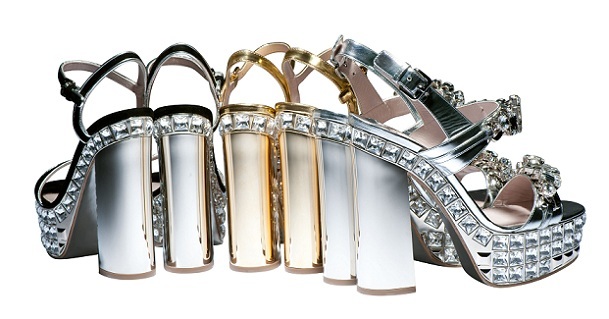 The sophisticated colouring of the golden piping on suede or crystal embroidery applied on lamé leather, accentuates heels, profiles and bands. Colours are bright and bold: edera, red and black for the suede, granato and navy blue for the satin cross-band style as well as gold and silver for the capretto laminato version. All finishes and appliqued decorations are hand-made.